I have been surfing on the internet and I have found interesting topic that related "CONVERT PDF TO JPG" or "CONVERT PDF TO IMG. So many searching about this and so many related article with that to topic. I have been looking at from google search and the answer will show software that could convert PDF in to JPG or IMG. But to me, this is not solution, because almost of that software which suggest from google is just have function to convert without any modification that we want. Usually most of all that software have same process, Just upload or drag PDF file on that tool. And then next move is just click button to convert process. Just that all, But there is question appear how to add some picture or item on that PDF file before we convert? and then the result will show IMG with modification that has been applied. I don't know exactly how answer that question. Then not accidentally I just try open with PDF using GIMP, and suddenly is open with perfect but there is import notification show. 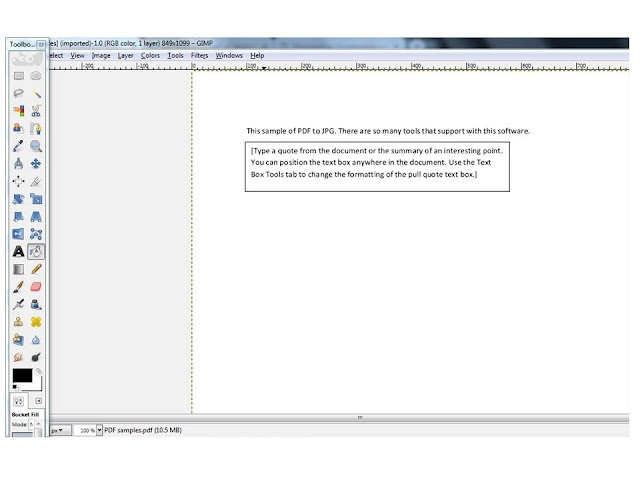 With this software you can modify PDF file with so easy. This is free software which complete item on it. Not only for image editor, this software able to edit PDF files and also modify it. 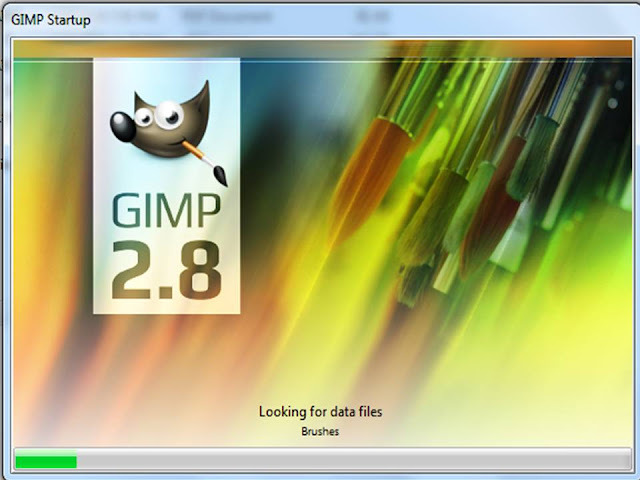 Open GIMP from Linux or Windows. If you don't have this tool just installed it. This software have free license or it means you can easily installed and used with out any cost. You can download from here. 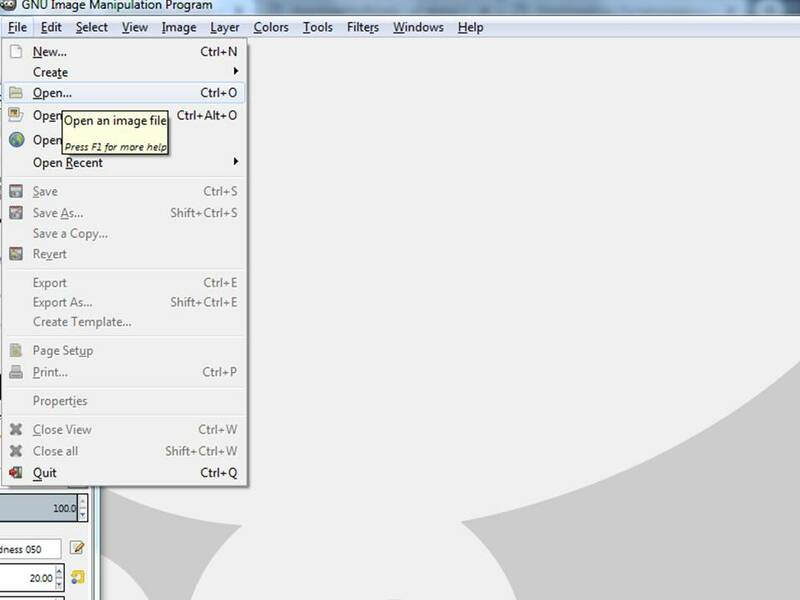 Then after GIMP is opened, next move is try to get PDF file from your computer that you want to convert to image. Try to search PDF file that you want to convert. After you found the file that you want to convert, then click open button. Then import notification will show, just click import button and the file will show on GIMP. PDF will show on GIMP editor template. 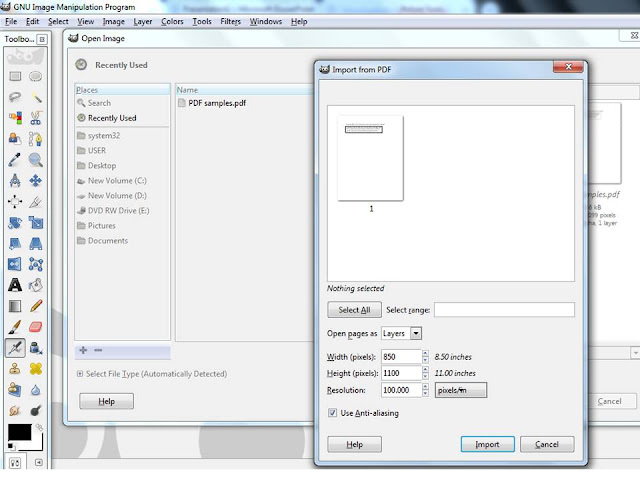 On the GIMP you can modify PDF file that you want to convert. On this picture below, original of PDF files just contain text and text box and then I have been modified with add black square. After we done with PDF file that have been modified or not modified, next step is click file menu bar than choose export. When we done with export next move is choose files type. On GIMP there are so many files type when you export it, including JPG files. And so many another image files type that support from this software. Next, after we have choose files type then name that files which you have modified and place to folder that you want. 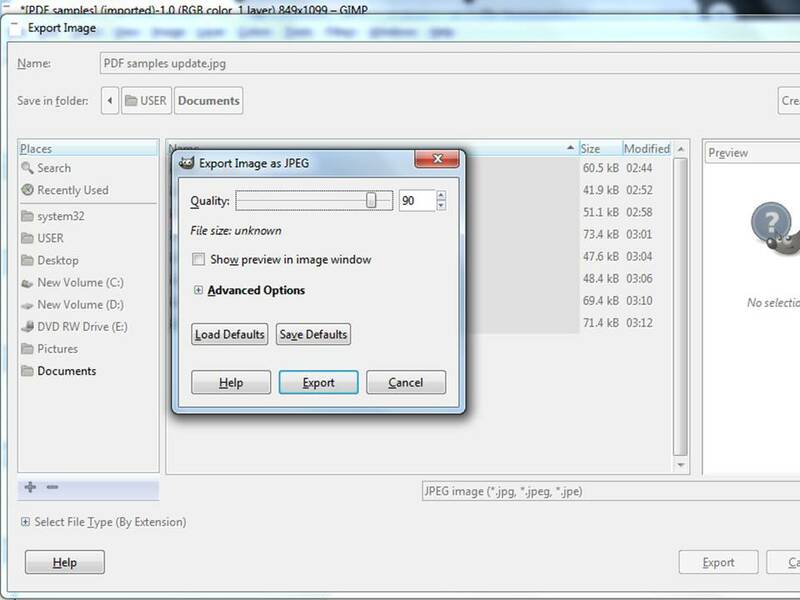 Notification Export image will show, just press export And your convert PDF to JPG or IMAGE is completed. 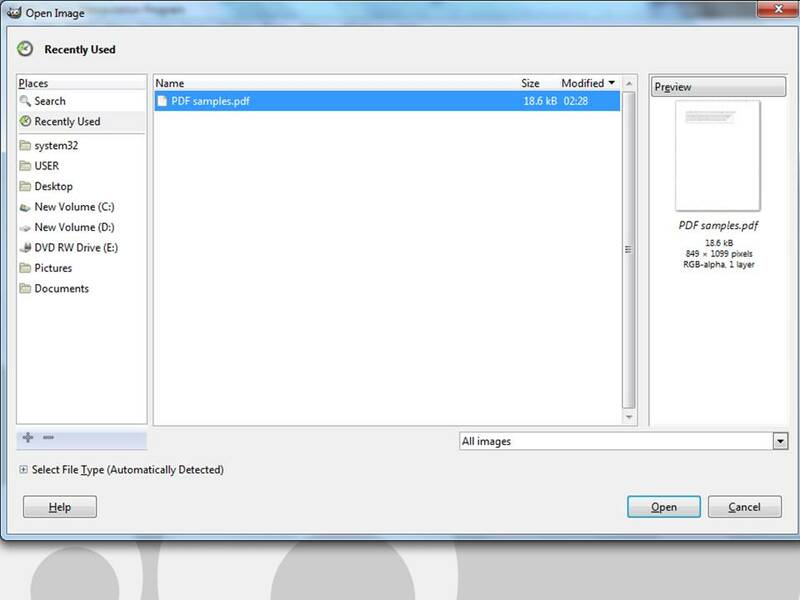 And now try to opened that JPG files that result from convert PDF to JPG. 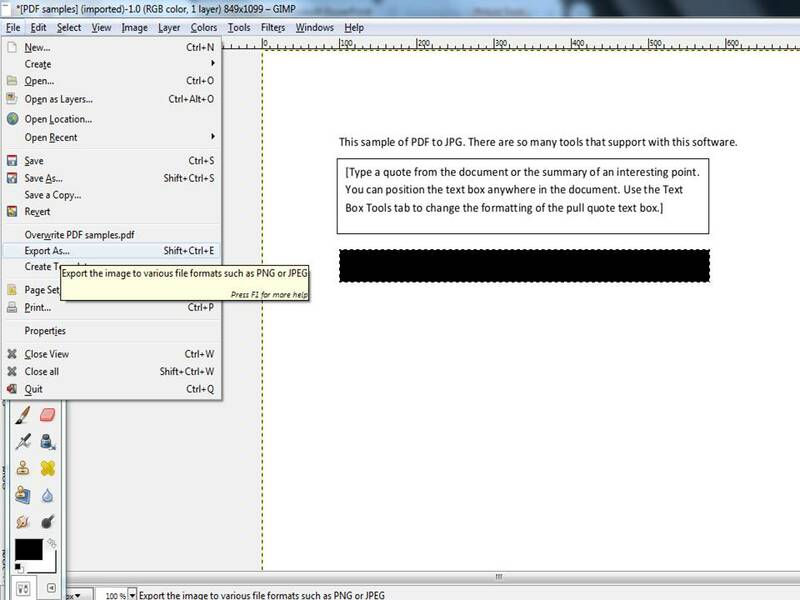 And you will see that your PDF files has totally change into JPG files. Just for note, I have been using GIMP as my software for more than 3 years to image editor tools. That all for now, see you on my next article. 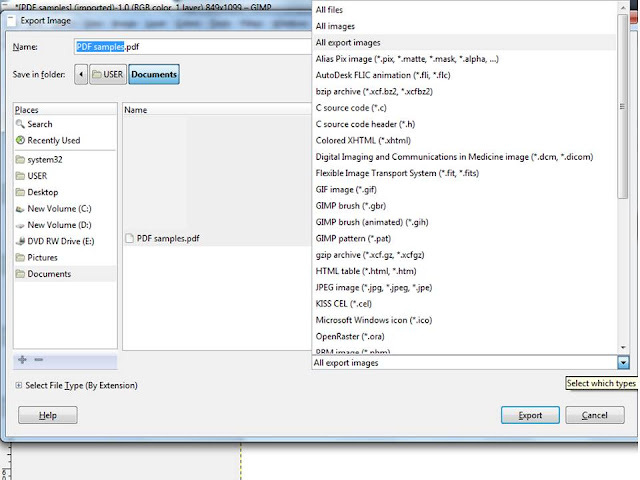 0 Response to "HOW TO CONVERT PDF TO JPG AND OTHERS"